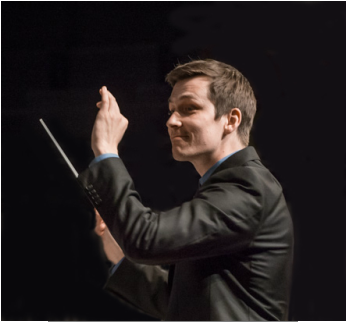 Brad Hogarth joined the Contra Costa Wind Symphony as music director and conductor in August 2015. He brings to the Wind Symphony an uncommon combination of talent and experience as a conductor, performer, educator, and arranger. In 2015 he also became the assistant professor of Conducting and Wind Ensemble at San Francisco State University. In addition to conducting and teaching, Hogarth is a professional trumpeter who has performed throughout North America, Europe, and Japan as well as locally with the San Francisco Symphony, San Francisco Opera, San Francisco Chamber Orchestra, San Francisco Contemporary Music Players, and other professional ensembles. Hogarth completed a double major in trumpet performance and music education at the Eastman School of Music and graduated from the San Francisco Conservatory of Music with a master’s degree in trumpet performance. His primary conducting teachers have been Mark Davis Scatterday and Brad Lubman, and his principal trumpet teachers have been Mark Inouye, James Thompson, Anthony Plog, and Roger Bobo. Hogarth brings a wealth of international experience to the CCWS. In 2015 he participated in the Pacific Music Festival in Sapporo, Japan, for the second consecutive summer. He taught music for one year at the Gunma Kokusai Academy in Ota Gunma, Japan, and studied for a semester in Germany at the Hochschule für Musik Freiburg. 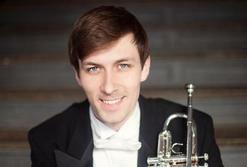 For three summers, he toured as principal trumpet with the National Youth Orchestra of the Netherlands. An avid educator, Hogarth was the chair of Instrumental Music at the Ruth Asawa San Francisco School of the Arts High School and the school’s director of band and full orchestra prior to joining the faculty at San Francisco State University. Under his leadership, the orchestra became the first student group to be featured at the San Francisco Jazz for the Other Minds Festival in the festival’s 20-year history. As an arranger, Hogarth has experience dating back to arranging and transcribing backup band music for rock and pop shows in high school. Since then he has been hired to arrange songs for weddings, concert and marching bands, brass quintets, trumpet ensembles, and rock bands. To learn more about Hogarth’s many and varied activities, please visit his website (www.bradhogarth.com). The members of the Contra Costa Wind Symphony are very excited to welcome Brad Hogarth to the East Bay as only the second music director and conductor in the 36-year history of the Wind Symphony.